Can’t get enough horror a la The Walking Dead? Neither can AMC, which plans to bring The Terror to your TV screens. Not content to scare the crap out of its viewers week after week with its zombie hit series The Walking Dead, AMC has just gotten its hands on master of sci-fi/fantasy/horror writer Dan Simmons’ 2007 novel The Terror. According to Deadline, Scott Free TV, Television 360 and producer Alexandra Milchan are developing the story while writer David Kajganich (The Invasion, Blood Creek) is attached to adapt the screenplay for the pilot. 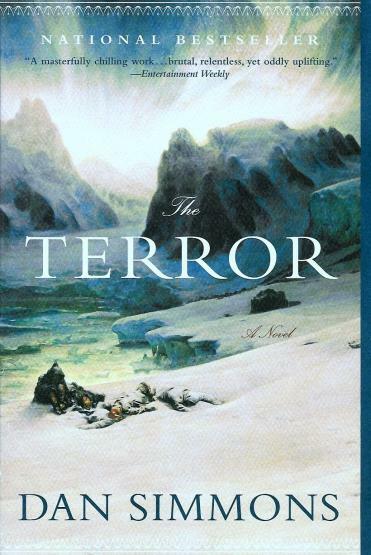 The Terror is a fictionalized retelling of the true-life story of the lost expedition of the HMS Erebus and the HMS Terror. Both ships disappeared mysteriously while on a voyage to the Arctic in 1847. The Terror is set in 1847 when the crew of a Royal Naval expedition to find the Arctic’s treacherous Northwest Passage discovers instead a monstrous predator—a cunning and vicious Gothic horror that stalks the ships in a desperate game of survival, the consequences of which could endanger the region and its native people forever. The story smells a little of The Thing to us, but with the huge success of The Walking Dead on its hands, it’s clear AMC is trying to cash in on the horror craze with Simmons’ dark, terrifying tale. I'm kinda surprised that AMC is willing to jump into another series that will cost more money than your average Network show. I only bring this up because of the fact that they have continually tried to pinch pennies with TWD, go so far as to fire people that don't agree with their penny pinching ways. Maybe their business model is start a project that great potential, let it take root and then cut back big time and still make it work. That's not a business model I'd want to be associated with. There will be too many people in production that you'd invariably be p*ssing off. Too many good people would be pissed off, so yea, why join that model. But there are plenty of hungry people out there not wanting to join this no matter at what risk.